A recital exploring the dialogue relationship between Ligeti and Bach. Featuring selections from the monumental Ligeti etudes for piano paired with Bach Preludes and Fugues, as well as works by Mendelssohn, Kurtag, and Debussy. 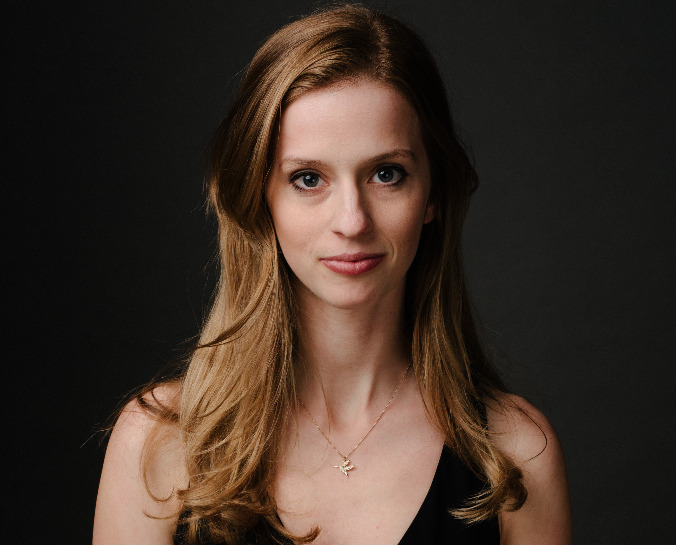 Praised by Joshua Kosman of the San Francisco Chronicle for her “crisp, brightly finished” playing and her “elegance and verve,” pianist Elizabeth Dorman was a recent winner of the 2016 Father Merlet Award from Pro Musicis. She has soloed with orchestra in Stanford’s Bing Concert Hall, Walnut Creek’s Lesher Center for the Arts, San Francisco’s Herbst Theater, Davies Symphony Hall, and the San Francisco Conservatory of Music. Currently based in New York City, Elizabeth is a doctoral candidate of Gilbert Kalish at Stony Brook University. At Stony Brook, she enjoys teaching and managing the undergraduate piano program and as well as coaching undergraduate chamber music as Mr. Kalish’s Head Teaching Assistant. A frequent recitalist and chamber musician, Elizabeth is a member of the New York City based Bridge Arts Ensemble, and has recently performed with the San Francisco Symphony Chamber Players, Santa Cruz Symphony chamber music, Napa Symphony Premiers, Sonoma Classical Music Society, Old First Concerts, UCSF Chancellor’s Recital Series, live on air at WUSF Tampa, Seattle’s “Northwest LIVE” broadcoast performance series, KQED San Francisco and NPR, and has performed recently at festivals including Aspen, Toronto Summer Music Festival, Sarasota, Icicle Creek, and was an Artist in Residence for two seasons at the Banff Centre in Canada. Elizabeth frequently performs as a chamber musician and has performed with musicians including Colin Carr, Jennifer Frautschi, and Mark Innouye. In addition to the 2016 Father Merlet Award, Elizabeth has also received Stony Brook University’s Gilbert Kalish Scholarship, San Francisco Conservatory of Music’s Presidential Scholarship, the Marsha Pannone Award for Artistic Excellence, the San Francisco Symphony Youth Orchestra Concerto Competition, the Ross McKee competition, and the California Young Artist’s Beethoven Competition. A native of San Francisco, Elizabeth began her training at the San Francisco Conservatory of Music where she received her Bachelors of Music and was the school’s first double instrument major, studying piano with Paul Hersh and double bass with Stephen Tramontozzi.